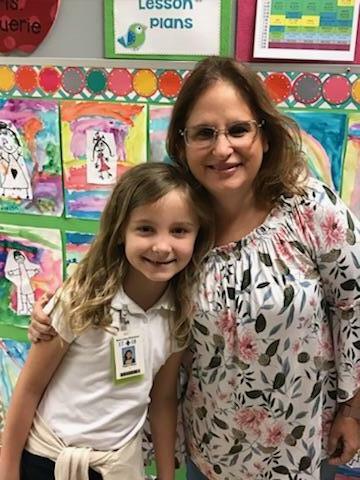 Peyton Airhart, Bains Lower 1st Grader, celebrates a huge accomplishment with her teacher, Ms. Holly Caffarel. 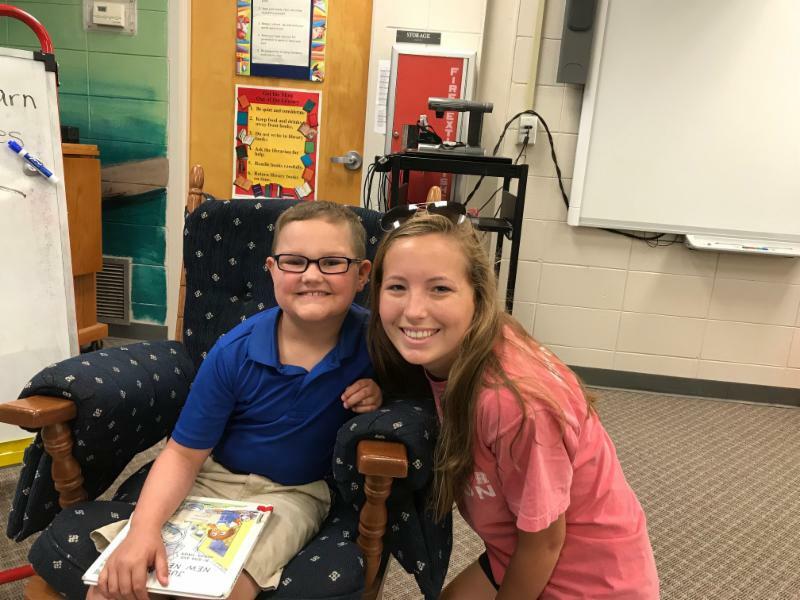 Peyton is the first student to reach the Accelerated Reader 200 Point Club! 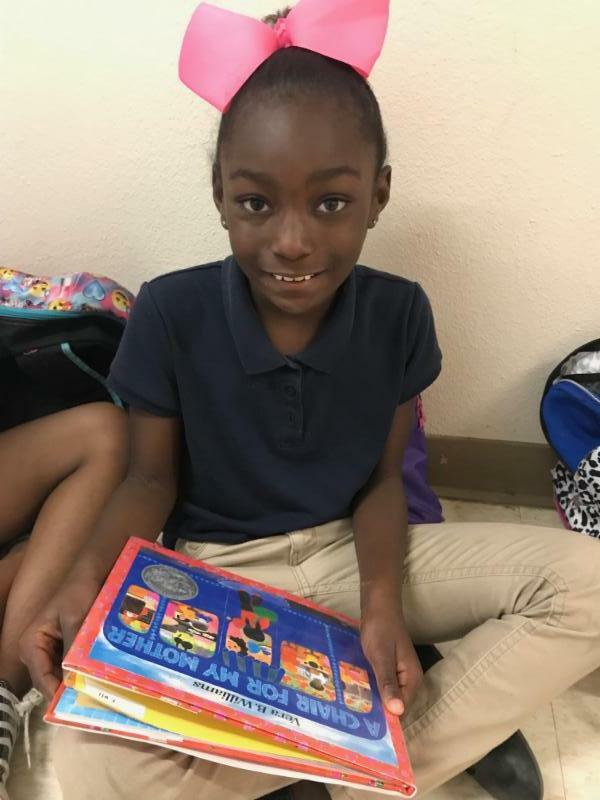 West Fel Young Authors have tremendous success again! West Fel boasts 22 state winners! 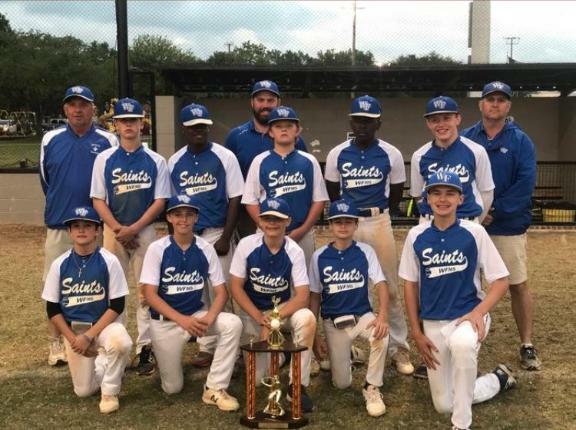 Congratulations go to the WFMS Baseball Team! The team went undefeated this year and was named the 2018 Westside Baseball Champs! 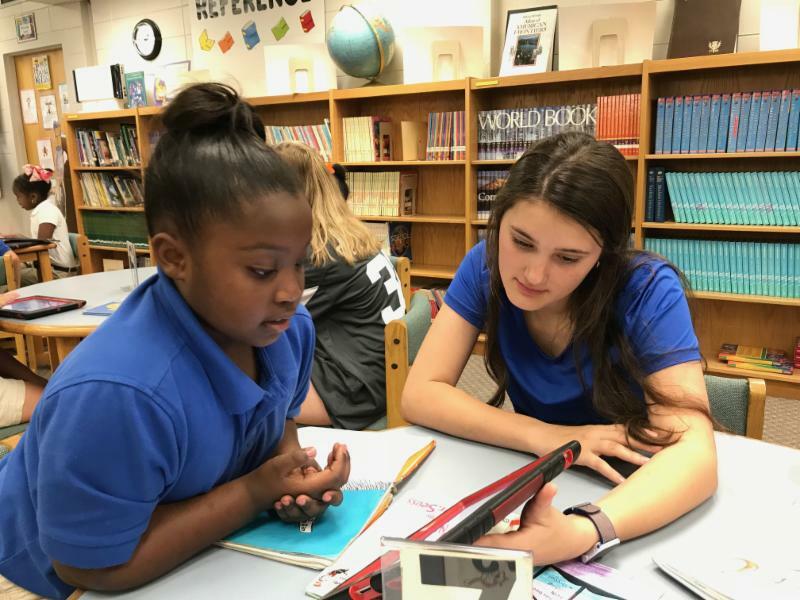 Please check out one of our WFMS teachers, Ms. Ali McMillan, on a video promoting the work of the National Geographic Educator Certification Program. Jakob Fudge and Leon Bibbins celebrate Jakob setting the new disc record! 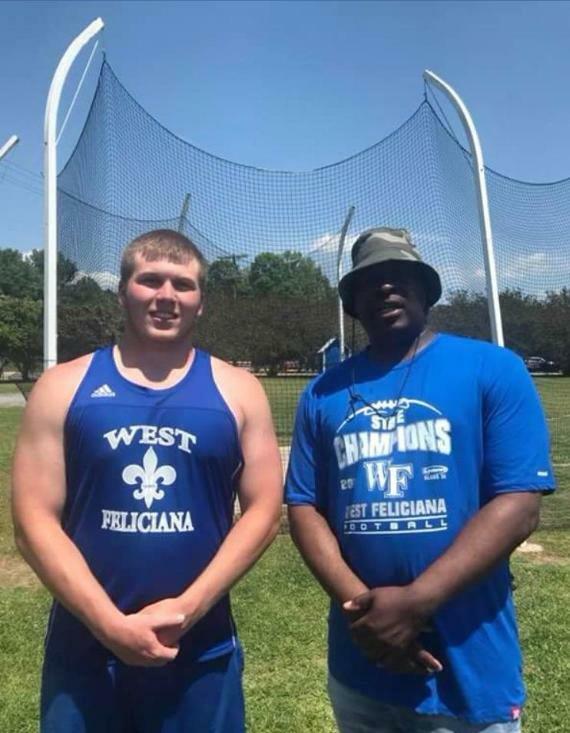 Mr. Bibbins set the record for West Fel in 1987. Congratulations go to the WFHS Baseball Team for winning in the first round in the playoffs over Patterson 7-4. 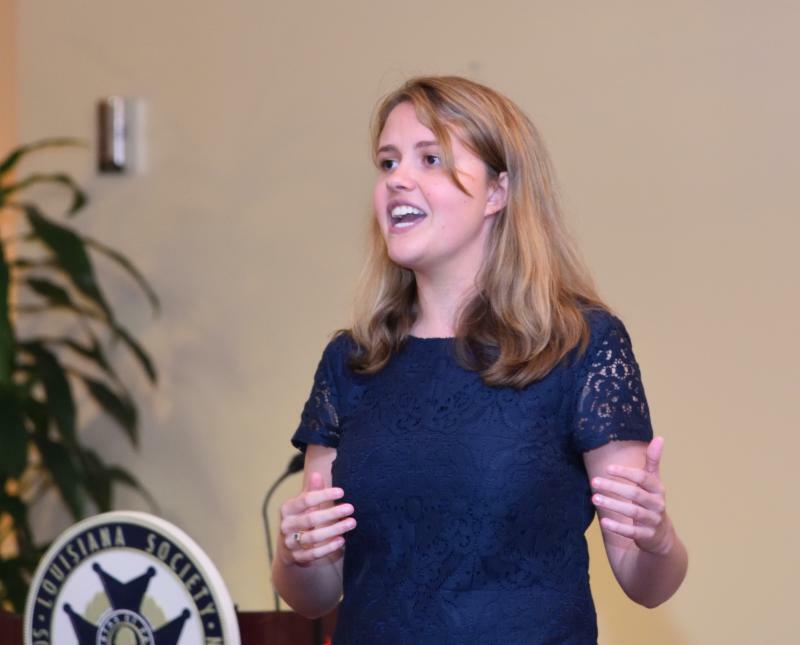 Mary Elizabeth Barrow delivered her speech at the Sons of the American Revolution State Chapter Meeting, and was selected to represent the state at the National Conference. 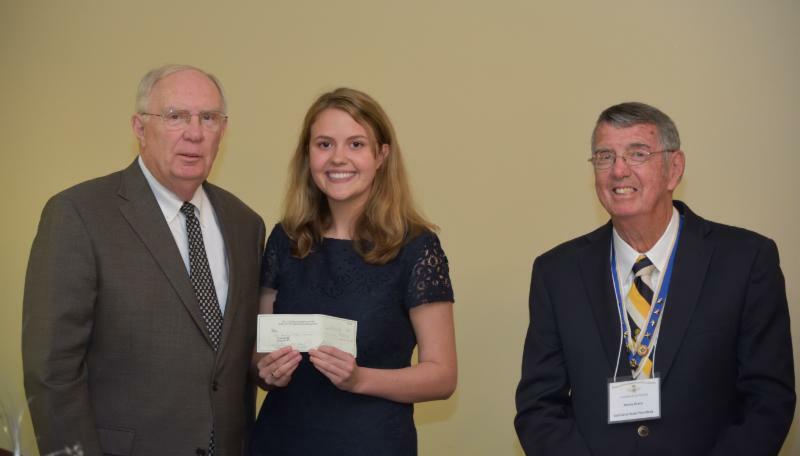 In July, she will travel to Houston, all expenses paid, to compete for $5,000. 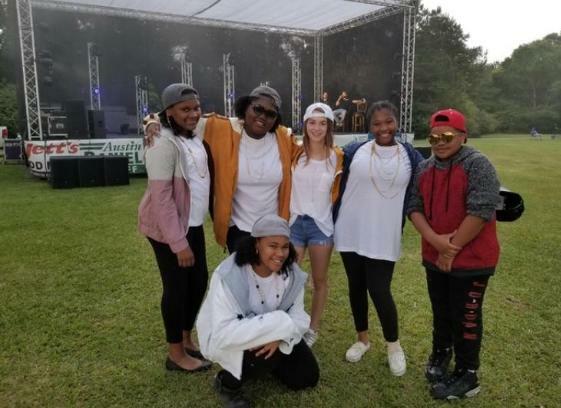 Ms. Cierra Fountain and 5 WFMS Students competed in the West Feliciana Parish Lip Sync Battle this weekend and took home the title! The team performed "Finesse". 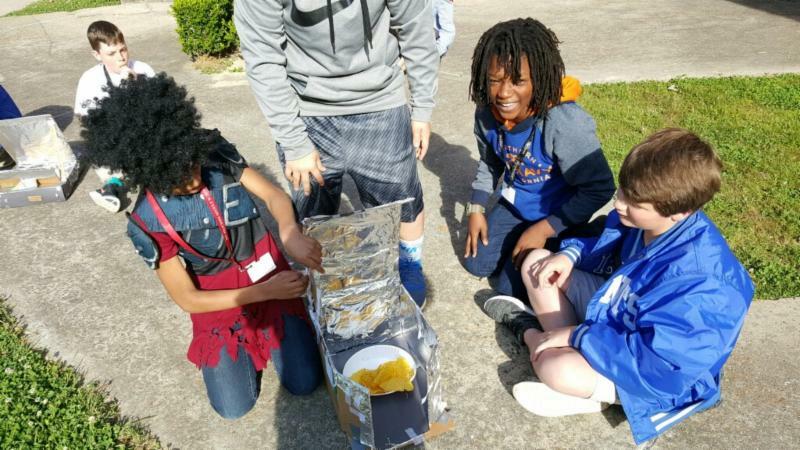 Students in Ms. Dyer's SOAR class built solar ovens with cardboard, aluminum foil and plastic wrap. 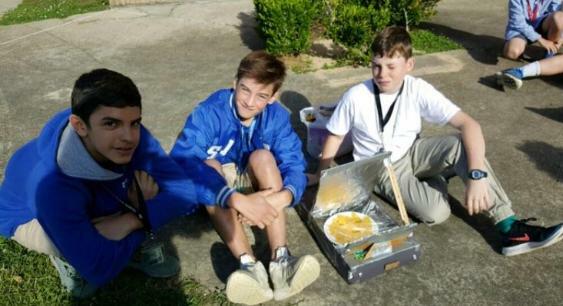 Nachos was the food of choice to cook in the solar oven! 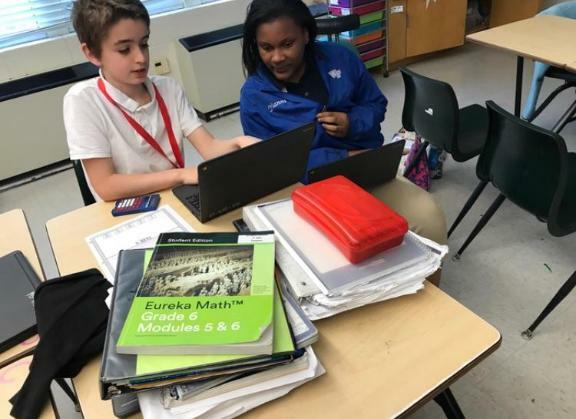 Students in Ms. Pritchard's 6th grade math class solved problems to work their way out of a virtual escape room! 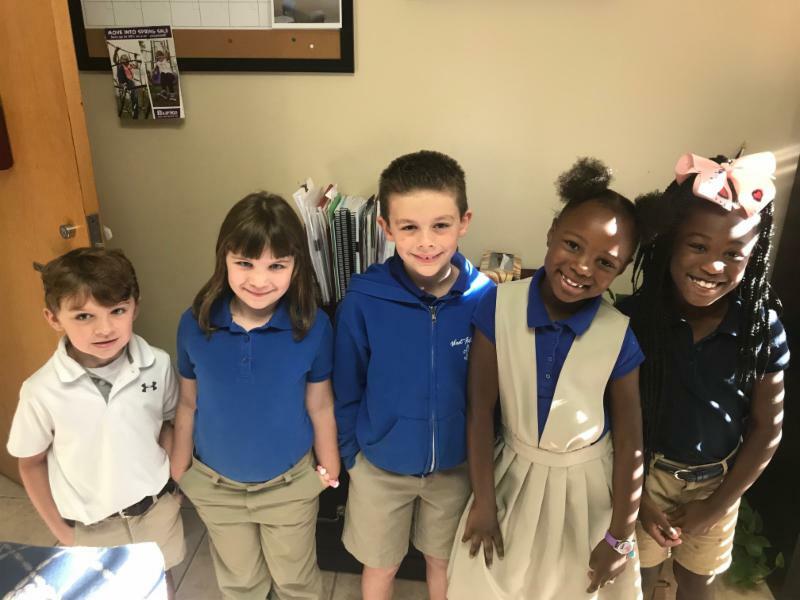 Conner Graham, Camille Hebert, Roddy Lemoine, Maddison Collins, and Ta'Niyah Sterling deliver the morning announcements with tremendous excitement! 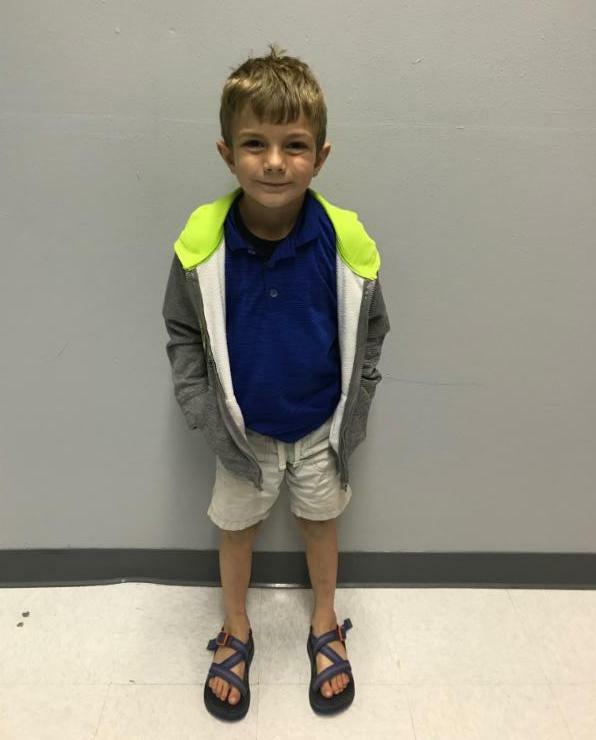 Congratulations goes to Jackson Maxwell for making the Accelerated Reader 100 point club! 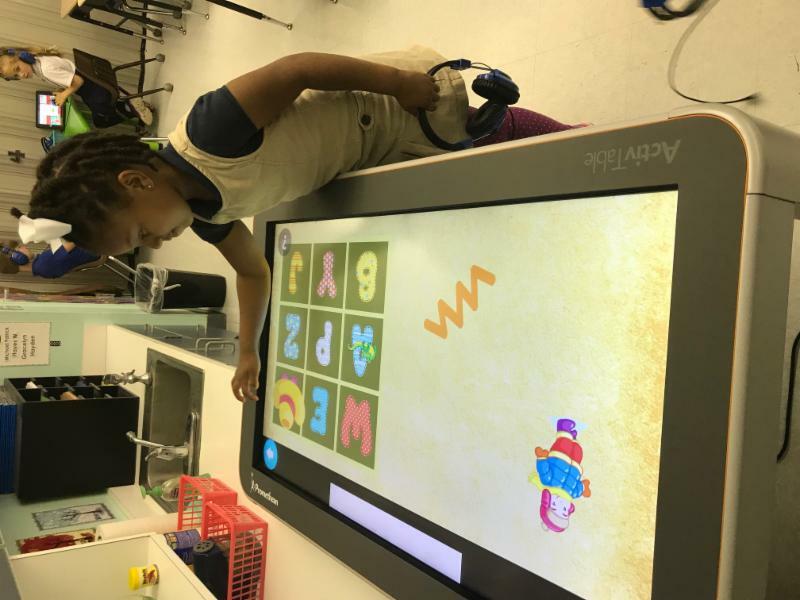 Aubrey Mitchell (Bains Lower 1st Grader) uses an ActiveTable to learn and practice English Skills. 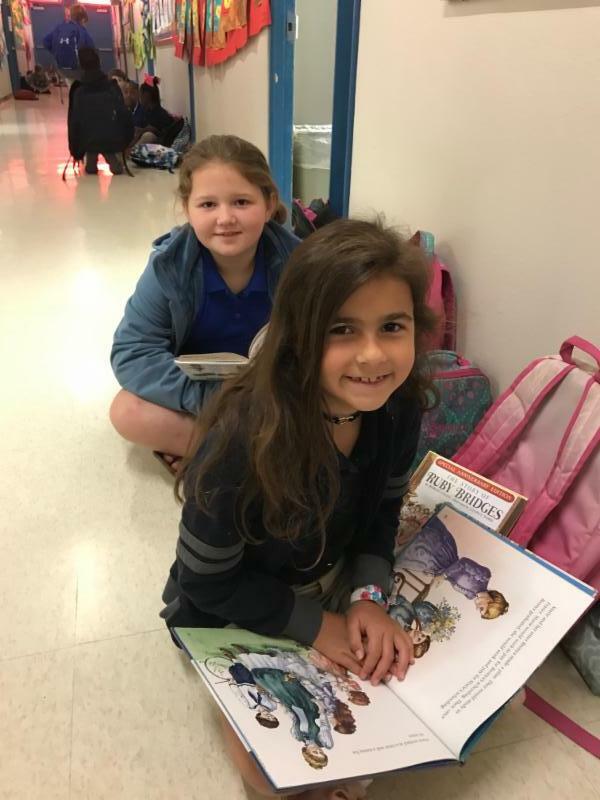 Bains students, Alayah Stanley, Elizabeth Blanchard, and Taytum Spillman enjoy reading before school! 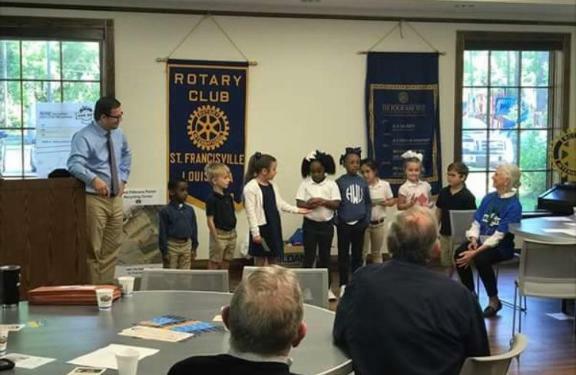 The Bains Lower "Leader in Me Lighthouse Team" presented "Leaders Don't Litter" to the St. Francisville Rotary! 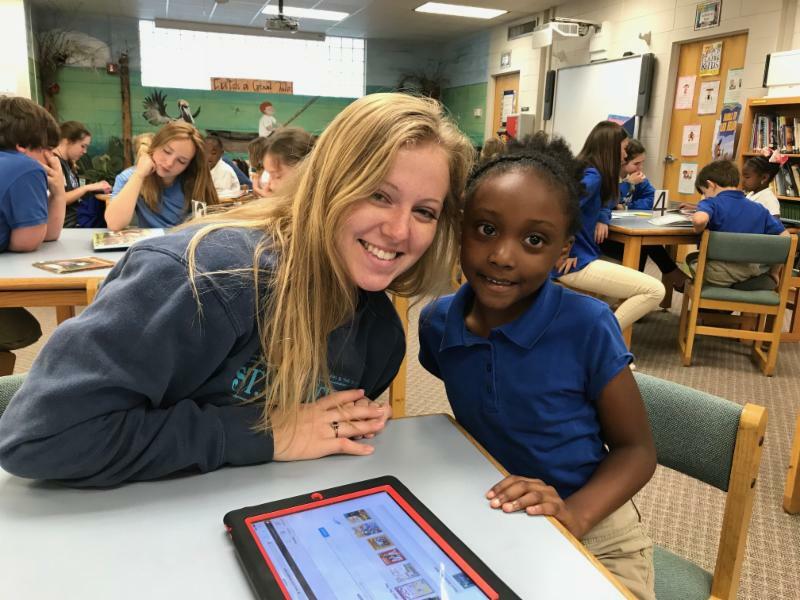 The students were amazing! 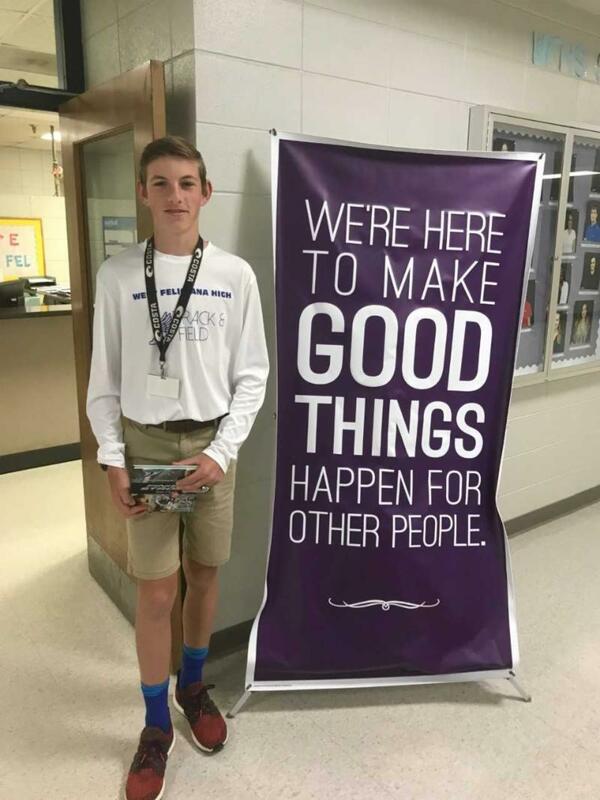 Congratulations goes to Wyatt Barbe, WFHS 9th grader, who placed 10th in the Louisiana Archery 3D Compound Competition and 8th in the Louisiana Archery Senior Compound Modified Competition! 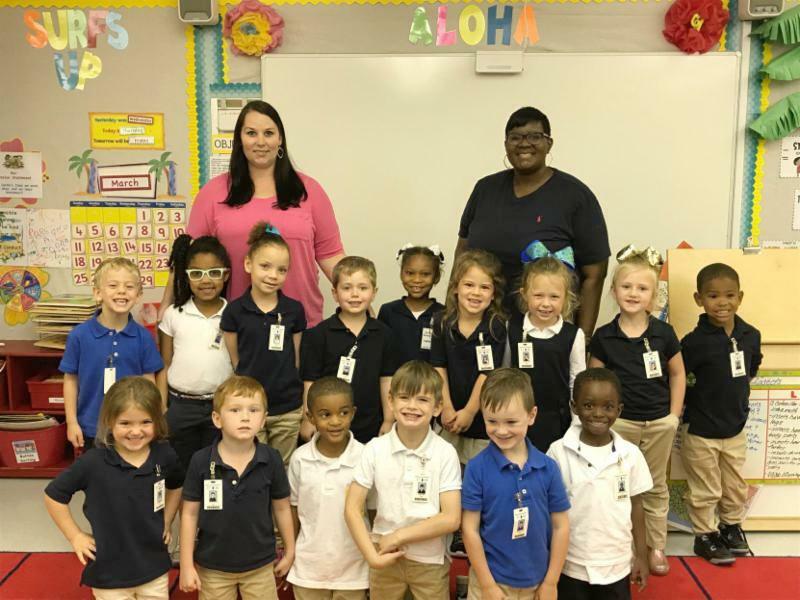 In case you missed it, The Advocate highlighted Ms. Zanobia Carter's students answers to the following question: If you were an adult, what would you do? 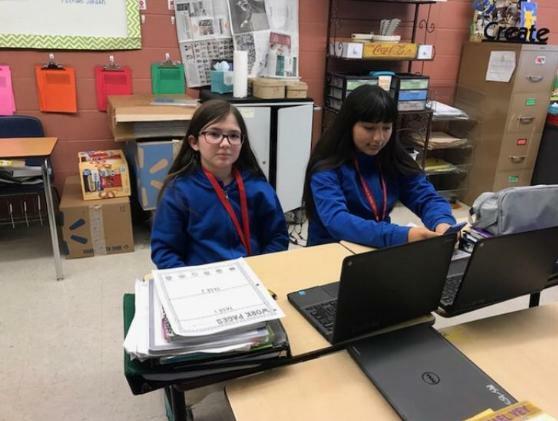 Please click here to see our students' responses. 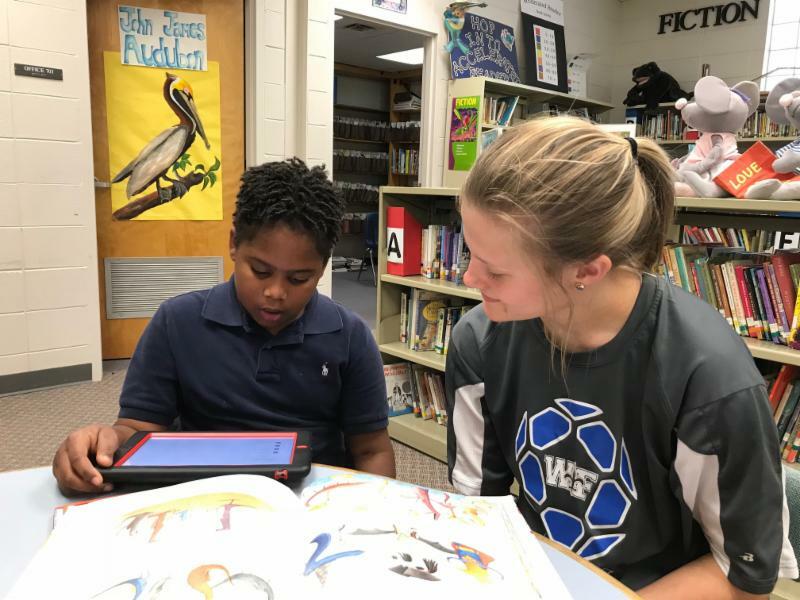 A special thanks to the WFHS administration and WFHS students for participating in the Reader Leader program at Bains! 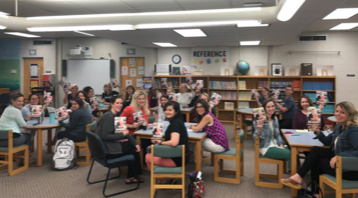 Bains Teachers participate in a book study, Bold School: Old School Wisdom + New School Technologies = Blended Learning That Works by Weston Kieschnick. 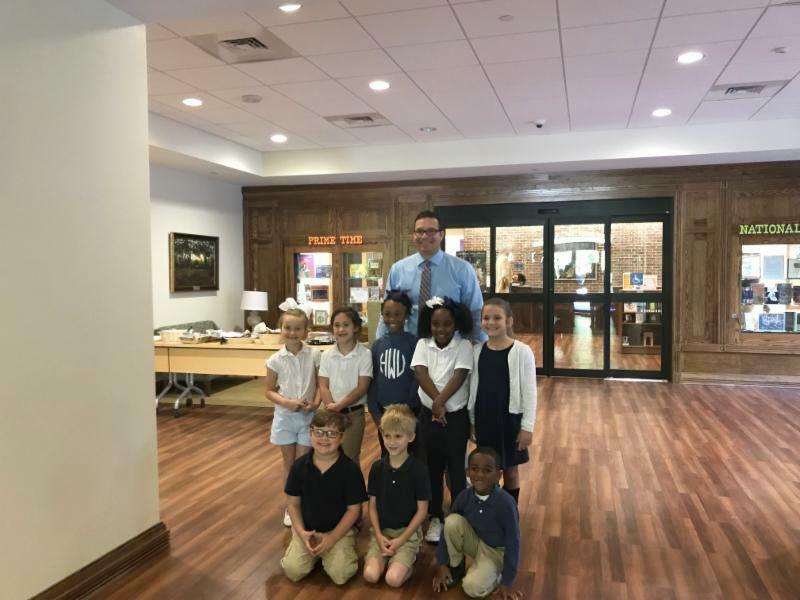 Weston spoke to our faculties at the beginning of the semester in January and will be back to speak to our faculties as we begin the 2018 school year. 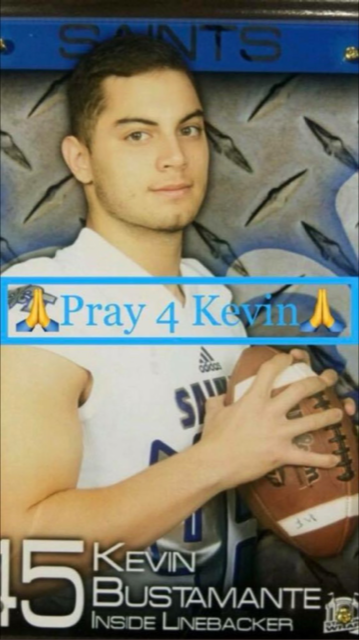 Please join us in your thoughts and prayers for WFHS Senior Kevin Bustamante. Kevin has stage 3 cancer and is beginning chemotherapy.